Rawhide™ Video Slot at Slots Magic Casino is the first in a line of Konami slot games to debut at a WMS online casino. The video slot is based on an old western tv show which some of us oldies will remember. 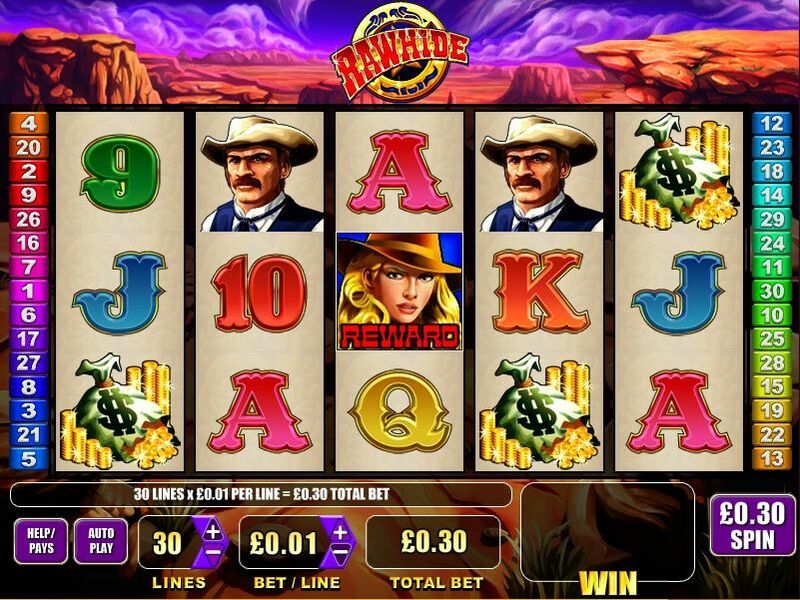 Rawhide is a 5 reel 30 line video slot featuring stacked symbols and a free spins bonus and has images of covered wagon, cash bags, wanted cowgirl, marshall's badge, windmill, cowboys and A, K, Q, J, 10 and 9. The wanted cowgirl is wild for all symbols except for the marshall's bade and appears on reels 2-5.
marshall's badge will trigger the feature. 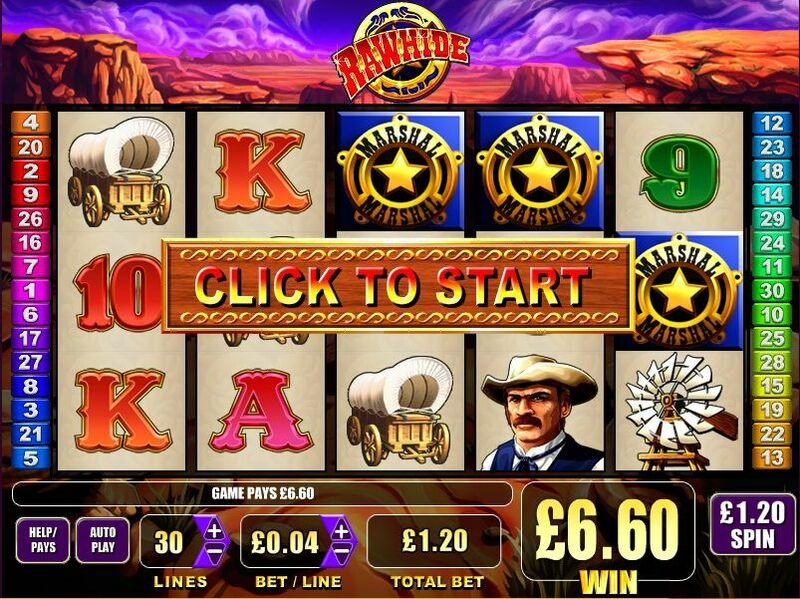 Play Rawhide now at Slots Magic Casino!